San Francisco’s $50 million, arts and culture-focused redevelopment of the Treasure Island neighborhood, a manmade island in San Francisco Bay, is moving along with the announcement of a star-studded shortlist of artists for its massive sculpture displays. Ai Weiwei, Hiroshi Sugimoto, New Jersey-based sculptor Chakaia Booker and five other artists have been invited to submit designs for three public sites across the development, from an initial pool of 495 entrants. The plan to expand the Treasure Island district will include the neighboring Yerba Buena Island, and add up to 8,500 new residences and 550,000 square feet of retail across both islands. The $50 million art budget, to be spent in the coming decades, will be generated through the 1% for Art in Private Development fund, which would levy a 1% “art tax” on new construction projects on the island. The three sites will include the Building 1 Plaza in front of the ferry landing, with a budget of $1 million, Waterfront Plaza, with a $2 million budget, and the Yerba Buena Hilltop Park, with a $2 million budget. Of the eight artists, only Weiwei and Booker have been invited to submit proposals for more than one site. Weiwei, Booker and Los Angeles-based Pae White, with Ned Kahn as a standby option, will submit for the Building 1 Plaza. 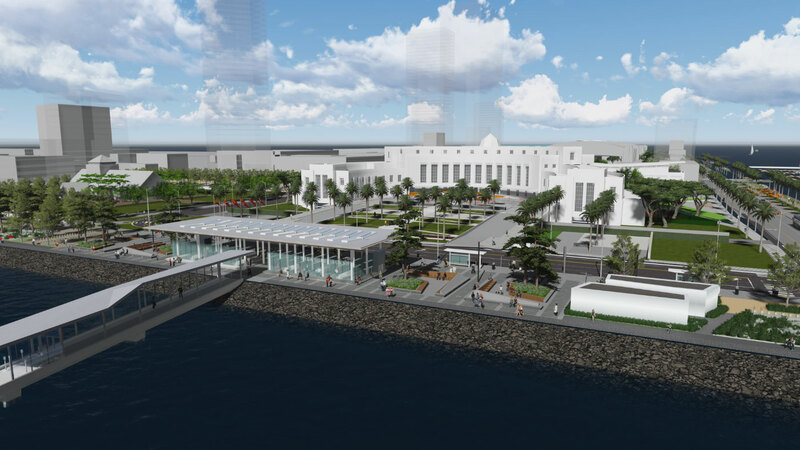 Weiwei, British sculptor Antony Gormley, and Cuban artist Jorge Pardo will also propose pieces for the Waterfront Plaza, a likely future ferry terminal location. At the Yerba Buena Hilltop Park, which will offer sweeping views of Treasure Island once the development is complete, Booker, British sculptor and photography Andy Goldsworthy, and Sugimoto have been shortlisted. Once complete, the Treasure Island redevelopment, which will be jointly masterplanned by SOM and Perkins + Will, will only build on approximately 25 percent of the available land. By clustering new buildings along Treasure Island’s southern and western shores and building for density, the master plan not only reduces the island’s dependence on cars but will also provide plenty of space for the “art park” concept to unfold. CMG Landscape Architecture has been tapped to design the 300 acres of rolling parks across both islands. “It is anticipated that proposals will be submitted in the spring and will be placed on public view on Treasure Island as well as elsewhere in the city for comment and feedback before being voted upon by the Treasure Island Development Authority,” according to the San Francisco Arts Commission. Neither Weiwei nor Sugimoto are strangers to large-scale art installations, or integrating art with the built environment. Most recently, Weiwei’s Good Fences Make Good Neighbors touched down in public areas throughout New York City, while Sugimoto was tapped to redesign the Hirshhorn Museum’s lobby. The entire Treasure Island master plan can be read here.